Camp Moremi offers guests luxury accommodation, warm African hospitality and excellent game viewing opportunities. Camp Moremi is ideally situated in the Moremi Game Reserve on the scenic Xakanaxa Lagoon which forms part of the eastern edge of the permanent Okavango Delta. The surrounding seasonal floodplains,Mopane forests, open grasslands and vast Kalahari desert is home to a diverse range of African wildlife. Accommodation at Camp Moremi consists of 11 East African inspired safari tents located on raised teak platforms. Enjoy the tranquility and beautiful surroundings from your own private viewing deck. 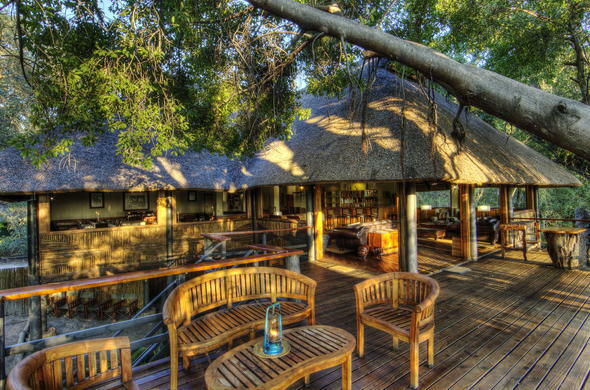 Camp Moremi features a wildlife reference library, dining room, lounge area and cocktail bar. Enjoy an exciting game drive in the Moremi Game Reserve. The area is home to Lion, Cheetah, Leopard and the endangered Wild Dog.Alternatively, explore Xakanaxa Lagoon and the surrounding channels of the Okavango Delta by motorboat. Spot some of the diverse bird species ranging from water birds to forest dwelling species.